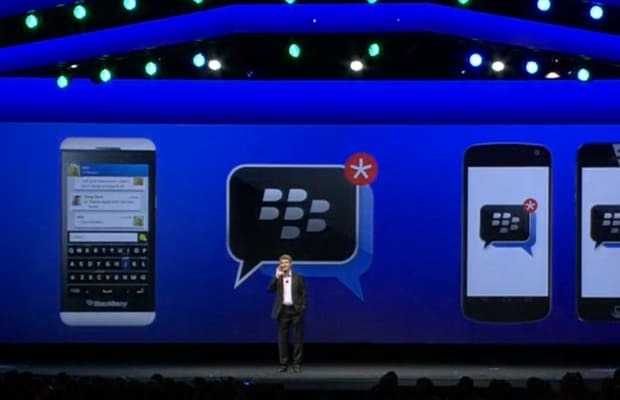 BlackBerry might be in trouble, but BlackBerry messenger is doing just fine. The company finally opened up the doors for its BBM app for iOS and Android yesterday, and it seems like old fans of the messaging service came flocking over for the download. Over 10 million people installed the app on their phones in just 24 hours, and it became the top free app on Apple&apos;s App Store in 75 countries. BlackBerry delayed the release back in September after a leaked version of the app was downloaded by almost a million users—but it seems like the wait was worth it. Reviews have been positive so far, and it seems all BlackBerry has to do is figure out a way to keep this userbase from going to other messaging apps, like Kik, while they have their attention. This BBM news seems to be one of the few bright spots in BlackBerry&apos;s book so far, since the company has been looking for buyers to purchase the company, since its hardware hasn&apos;t been successful with customers. As long as they keep the service from having any bugs, and keep it fresh with new features, BBM could be here for a long time—and will perhaps be in use long after the company sells their last phone.